Happy May Day! It’s probably one of the favorite holidays of most chasers, as it signifies the month where climatology says the southern plains get really active! Here is a neat post from the NWS Amarillo talking about the drought, how it has improved, etc. As for severe weather, the pattern won’t be incredibly favorable, but I believe there will be a few days that sneak in there.. 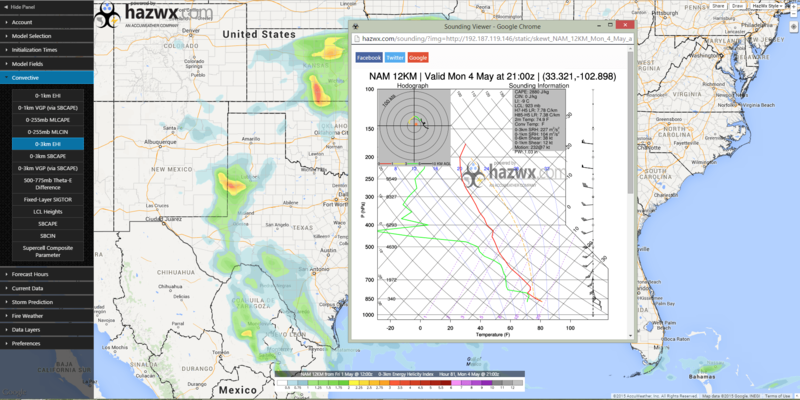 The first day that potentially interests me is Monday, but pretty far west, near the TX/NM border. There will be broad southwest flow over the region much of the week, so there should be at least marginal shear for supercells across portions of the southern plains, however, with days of rainfall, lapse rates could be rather crummy, so exact details will come down to instability that is able to be gathered on each day.. But in general portions of the plains and southern plains should be on the lookout for heavy rainfall and potential for a few severe weather events. I’ll be sure to write about any bigger days!